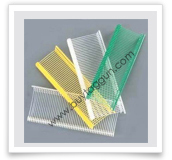 Welcome to www.buytaggun.com , the website of Jay Plastic Company, a part of Jay Group of Companies, located at Bangalore (India), having over about 3 decades of experience in the tag gun, tag pin industry. We thank our patrons for their continuous support all these years, and we look forward to more stronger support from existing and new clients ! Our technical team is ever ready to help, assist and develop easier and better solutions for tagging for clients. Your support and suggestions in this has been and will always be welcomed ! 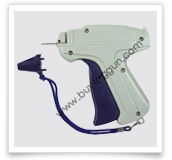 In this website, buytaggun.com, we intend to make you familiar with all our different models of tag guns which we produce. Tag guns are used to help attach price tags to garments, with use of tag pins. We have successfully been able to cater to all types of markets – those who want low cost tag gun, those who want quality, comfort and a not-too-expensive taggun, and those who want a top quality tag gun and don't mind paying for the quality. This web site explains particularly about all our brands and models of Tag Guns, comparison of tag guns and other related tagging products. 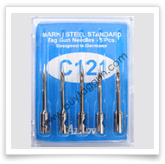 This web site also describes about Arrow Pneumatic Tag gun Implement Tool, which speeds up usage of tag gun. Our tag guns cater to all types of markets, primarily, Asian, European and American continents.Our development and designing section is backed from Germany, United Kingdom and Switzerland. Some of our unique tag gun features are also patent protected. Our well known brands of tag guns include: Arrow Tag Guns, Universal Tag Guns, TagStar Tag Guns. 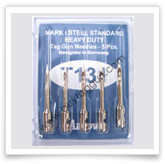 We can customise and supply tag guns in quantity above 10000 pcs in your own brand and packing.You may visit our home web site www.jaygroups.in for more information about us and our products.